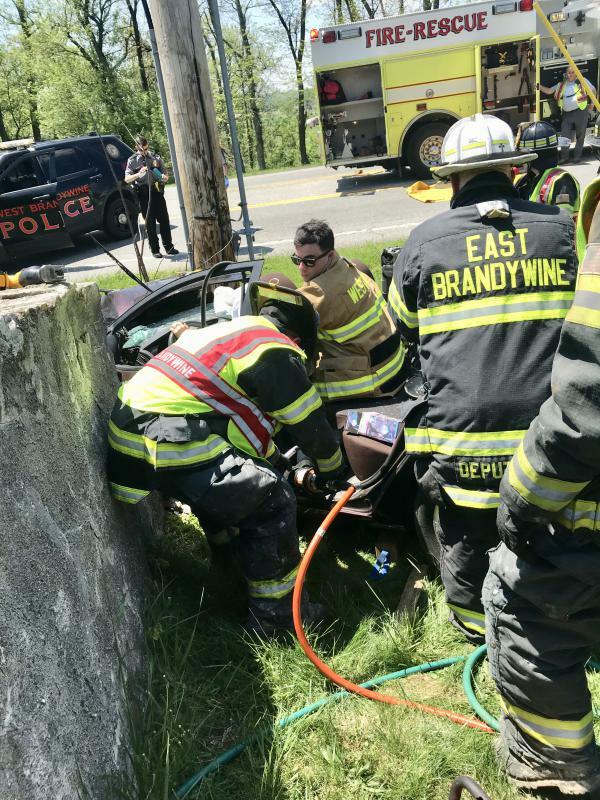 On Tuesday May 8th East Brandywine Fire Company volunteers responded to an automobile accident reported as severe in the area of Reeceville Road and Hurley Road. 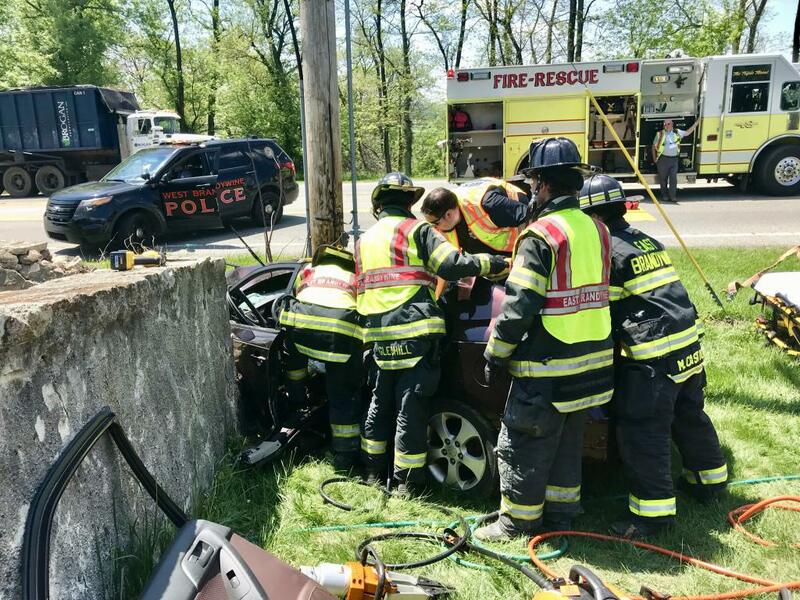 Initial information indicated that one patient was reported trapped in the vehicle. 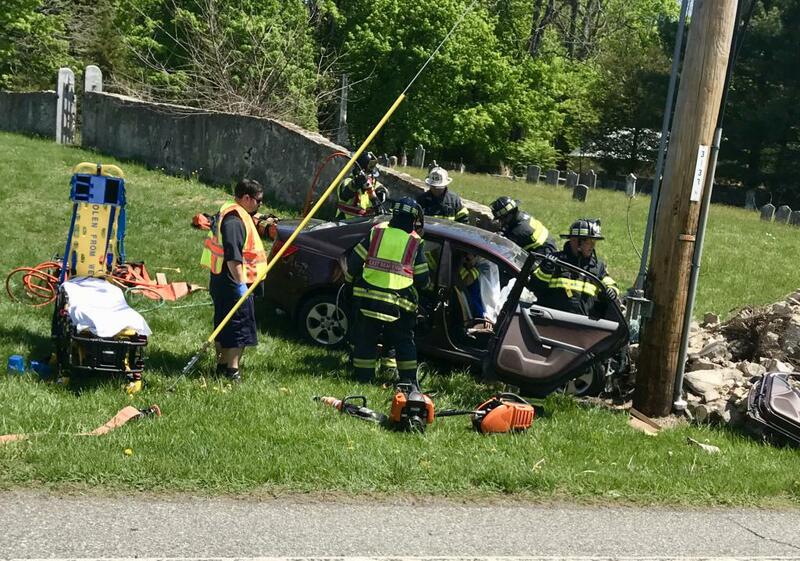 Deputy 44 (Scott) arrived shortly after dispatch and indicated two cars were involved however there was no entrapment. Deputy 49 (Edwards) arrived and assumed Reeceville Command. Patients were provided medical treatment and transported to the hospital. 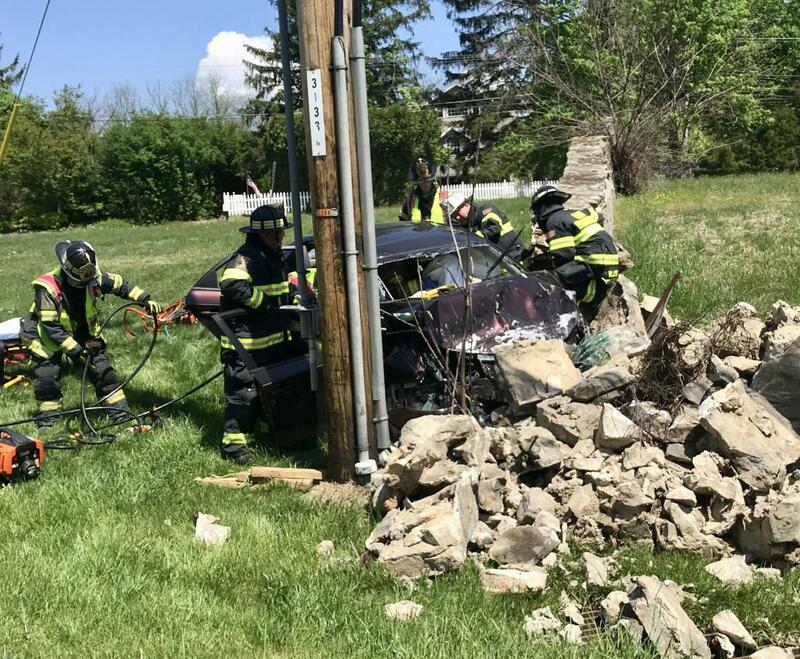 On Wednesday May 9th around noon the Company was dispatched to an accident with entrapment in the area of Route 322 and Highspire Road. 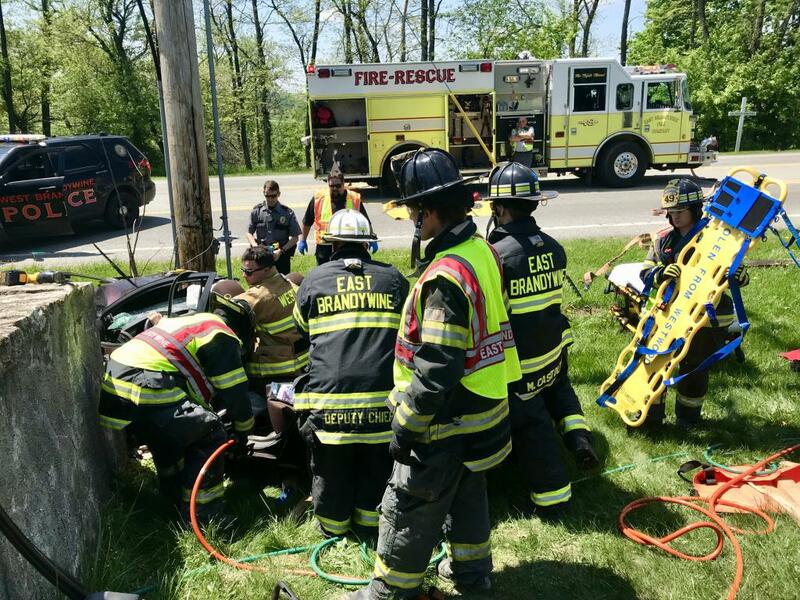 Deputy 49 (Edwards) arrived and confirmed entrapment and assumed Route 322 Command. 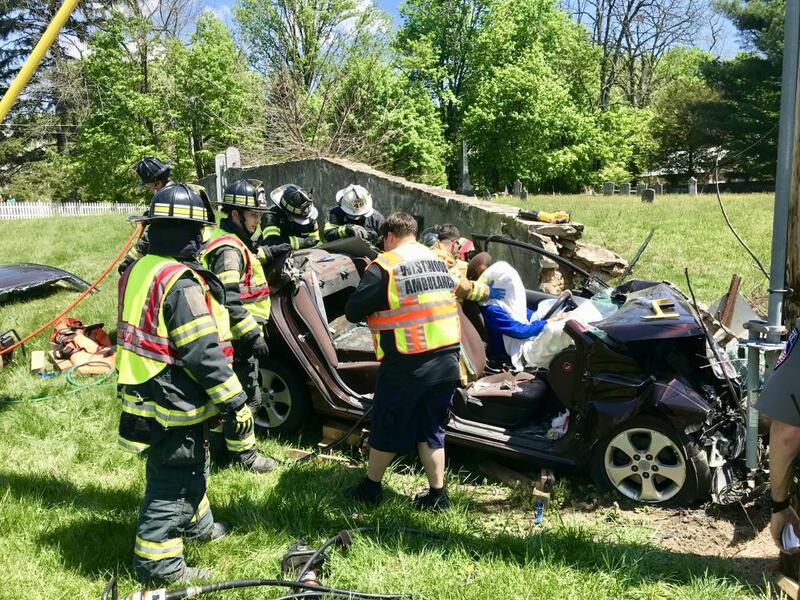 Engine 49 arrived on location with a crew of 6 and proceeded to remove the doors and roof to remove the occupant safely. 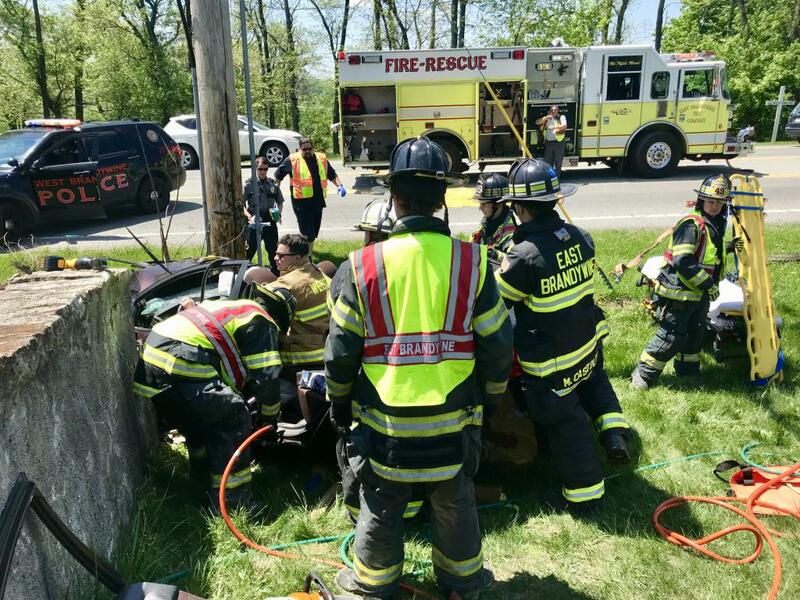 Once removed the patient was transported a a local Trauma Center by Ambulance 144 and Medic 93. 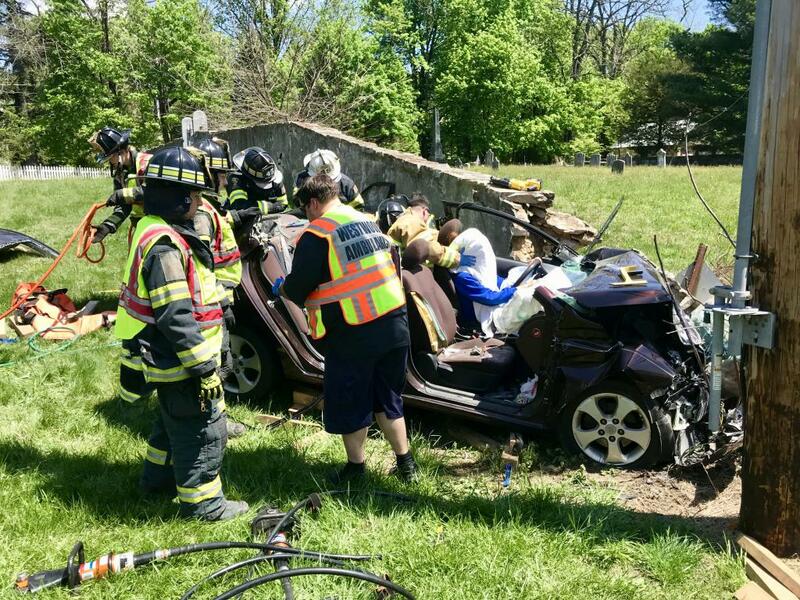 The Officers and Members of East Brandywine are keeping all involved in these accidents in our thoughts and prayers.